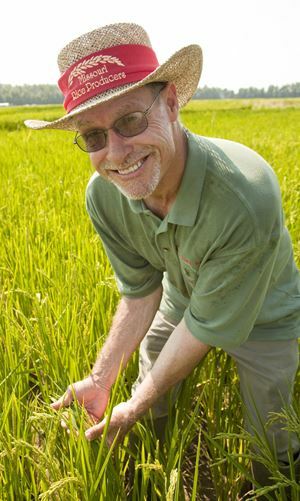 Rice varieties that have come through the Missouri Rice Breeding Program were introduced recently by Dr. Donn Beighley, rice breeder with Southeast Missouri State University located at Missouri Rice Research Farm at Glennonville Mo. He discussed the different varieties that are being tested in the state of Missouri, both released varieties as well as four new experimental varieties from the breeding program. He gave producers an update on those lines. “We realize that we don’t develop a variety and then just hand it off; we have to find out a little bit more about the production of that variety, such as what is the best nitrogen rate application for each one because we want to maximize our yields,” he explained. Beighley talked about some other things going on now. He’s looking at about 3,600 plots this year which results in about 1,200 varieties in replicated plots at the Rice Research Farm.